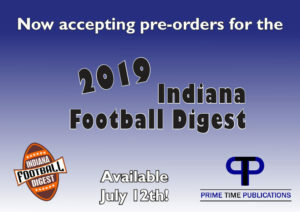 Pre-Order now for the 2019 issue of the Indiana Football Digest, which includes all your favorite players before their senior year in High School. Price is $15 plus $6.50 shipping. * The books take anywhere from 1 to 20 days to be delivered. If your mailbox is not large enough to hold this magazine it may not be effectively delivered to you. You may want it delivered to your office or work place. Please indicate your address in this order. Catch up on years past with a previously published edition of the Indiana Football Digest. Click the link above to access our archive of books from years past and relive the excitement of Indiana high school football once again! Listen to all the action on Friday nights as the Regional Radio Sports Network team provide play by play coverage some of the state’s most followed schools during the season and playoffs. To listen live online click here for a listing of upcoming games and archives of past games from 2011 to last week. 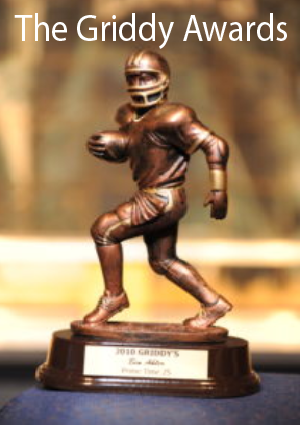 If you want to catch up on the latest expert analysis on Indiana High School Football, read the Blogs at RRSN.COM which provide insights not found anywhere else on the internet.